Mattia Pasini (Italtrans Racing Team) will start his second home race of the year from pole position, taking the honour for the fourth consecutive time and aiming to take his second home win of the year on Sunday. Pasini also wore a Marco Simoncelli tribute helmet on Saturday, with Misano World Circuit - named for the former World Champion - making the perfect stage. 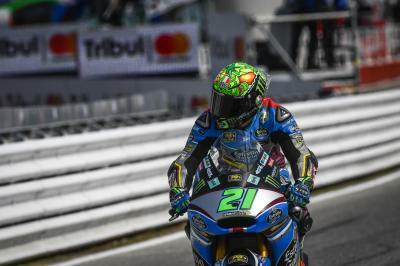 The closest challenger was once again compatriot Franco Morbidelli (EG 0,0 Marc VDS), with the Championship leader only 0.083 seconds off. Dominique Aegerter (Kiefer Racing) took third after a weekend of good pace, back on the front row for the first time since Jerez. 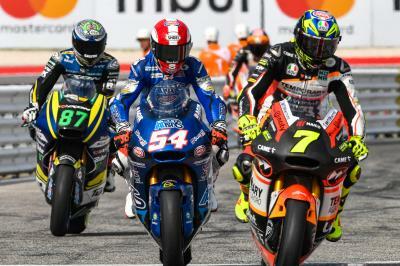 Lorenzo Baldassarri (Forward Racing Team) – winner at the track last season – made a late lunge onto the second row in P4, heading multiple Misano winner Takaaki Nakagami (Idemitsu Honda Team Asia). 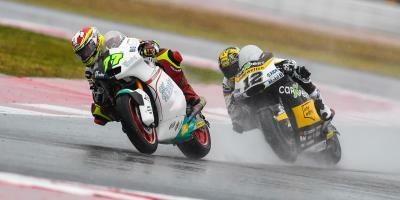 Francesco Bagnaia (Sky Racing Team VR46) took sixth, fastest rookie once again to lock out Row 2. 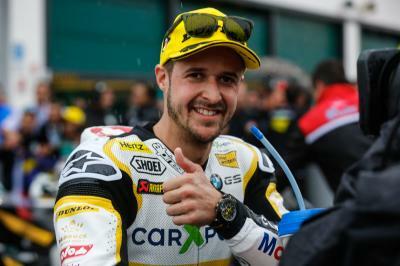 Key title challenger Tom Lüthi (CarXpert Interwetten) had a slightly muted session to take seventh, the key victim of Baldassarri’s late charge as he got bumped off the second row, and he will now line up just ahead of veteran Italian Simone Corsi (Speed Up Racing). Miguel Oliveira (Red Bull KTM Ajo), after a difficult FP3, completes the third row in ninth. 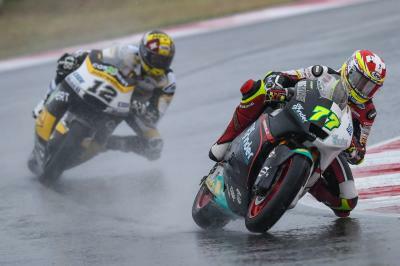 Fabio Quartararo (Pons HP 40) takes tenth, after a weekend of good pace for the French rookie. 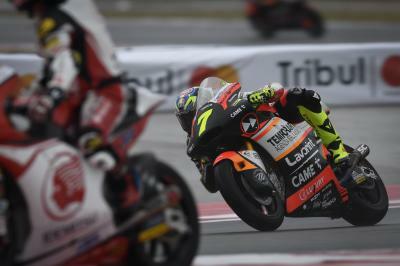 Luca Marini (Forward Racing Team) is P11, ahead of another rookie in the form of Jorge Navarro (Federal Oil Gresini Moto2). Sandro Cortese (Dynavolt Intact GP) made good use of qualifying to take thirteenth, with Hafizh Syahrin (Petronas Raceline Malaysia) and Xavi Vierge (Tech 3 Racing) completing the top fifteen. The entire Qualifying session from the #SanMarinoGP of the Moto2™ World Championship.